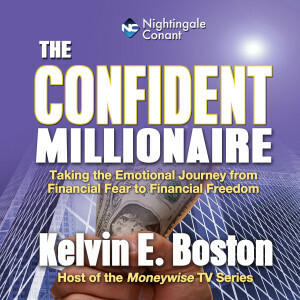 Kelvin E. Boston is a respected financial journalist, public speaker, and bestselling author who has been referred to as an "outspoken voice for economic empowerment." He is the executive producer and host of the Moneywise with Kelvin Boston PBS series. An official PBS series since 2000, Moneywise with Kelvin Boston is considered public television's longest-running multicultural financial affairs television series. In addition to airing on public television stations, Moneywise with Kelvin Boston also airs on the PBS YOU Satellite Channel and the Armed Forces Television Network, where it reaches military households in 177 countries around the world.In 2003, Kelvin Boston was awarded the National Community Reinvestment Coalition's (NCRC) annual award for promoting economic justice. He speaks annually before government agencies, corporations, and nonprofit associations, and in 2005, he received the Communicator of the Year award from the National Association of Market Developers. He is also the author of the bestselling book Smart Money Moves for African Americans (Putnam 1995) and a former regional financial planning manager for American Express Financial Advisors.